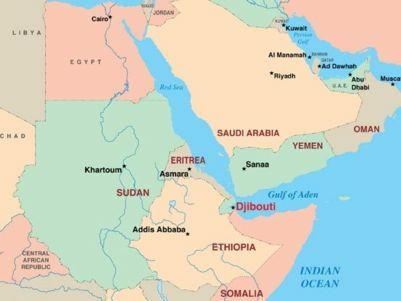 Eritrea and Somalia plan to establish diplomatic relations, their presidents said, the latest sign of thawing relations across the Horn of Africa following Eritrea’s rapprochement with Ethiopia. Somali President Mohamed Abdullahi arrived in Eritrea’s capital Asmara on Saturday for meetings with President Isaias Afwerki. “The two countries will establish diplomatic relations, exchange ambassadors, promote bilateral trade and investment, as well as educational and cultural exchanges,” the leaders said in a joint statement. The decision by Isaias to invite Abdullahi marks a new chapter after years of sour relations, reflecting how regional politics transformed since a new Ethiopian leader reached out to Eritrea. Past Somali administrations accused Eritrea of supplying weapons to anti-government Islamist insurgents. Asmara repeatedly denied this, saying the accusations were concocted by its enemy Ethiopia. In 2007, Eritrea even walked out of the East African bloc IGAD in protest as Ethiopian forces entered Somalia to fight militants. Eritrea and Ethiopia staged a dramatic rapprochement in recent weeks, after Prime Minister Abiy Ahmed took power in April and subsequently announced he wanted to implement a peace deal to end their 1998-2000 border war. Eritrea and Ethiopia signed an agreement earlier this month to restore ties, ending two decades of hostility.